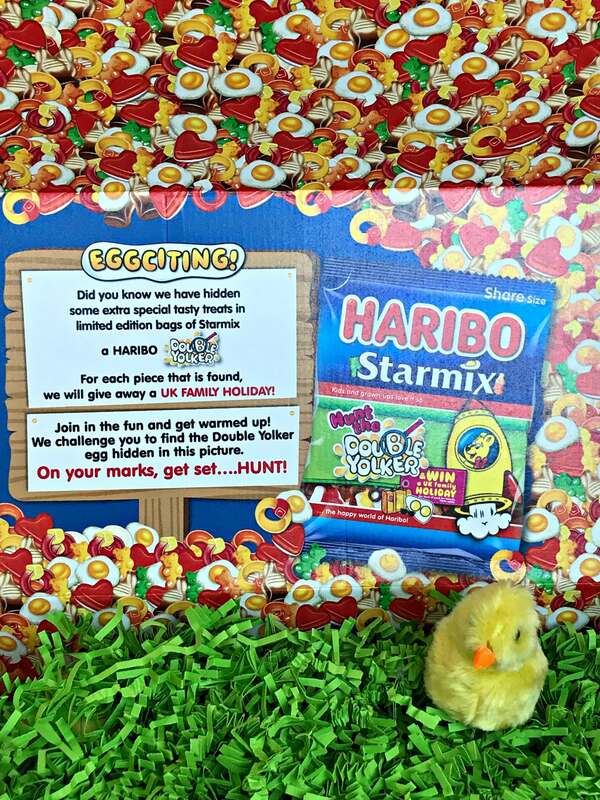 GIFTED: Big news for HARIBO fans this Easter. Look out for the new limited edition packs of HARIBO Starmix which contain an extra sweet surprise. 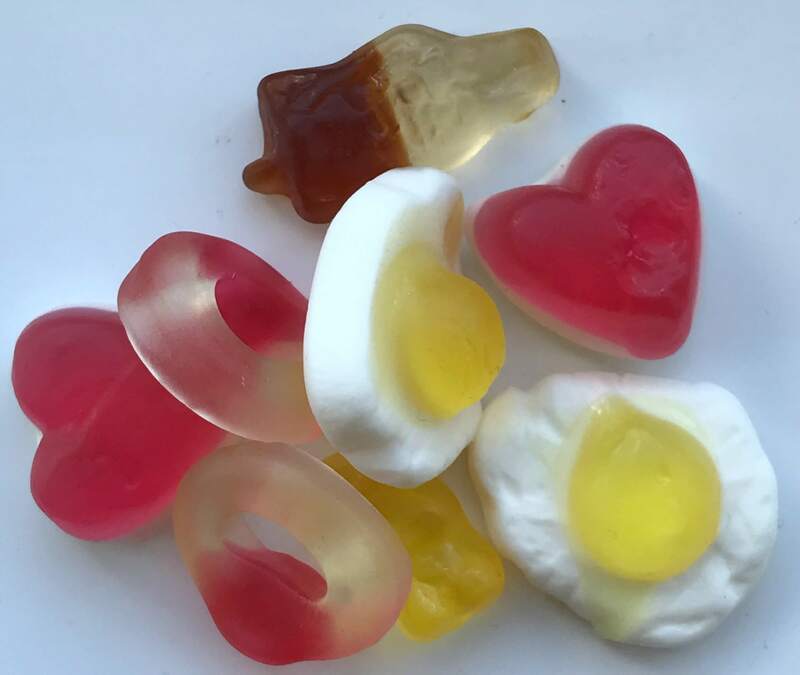 If you are a HARIBO egg fan, look out for one of 20 hand-crafted Double Yolker sweets hidden in these special packs among your favourite Starmix shapes of heart, cola bottle, egg, ring and bear. Find one of these eggstra special Double Yolker sweets and you will win a fabulous family holiday with Forest Holidays. The ‘Hunt the Double Yolker’ promotion runs until 21st April 2019 and you have until 31st May 2019 to claim your prize, so crack on with the egg hunt. The prize is a Family Forest Holiday in a Silver Birch Cabin for 2 adults and 2 children (aged 15 and under), in 1 of 10 locations across the UK. Bike hire and ranger activities are included with your break. You can book up to 1st September 2019 and winners must take their holiday by 30th November 2019. 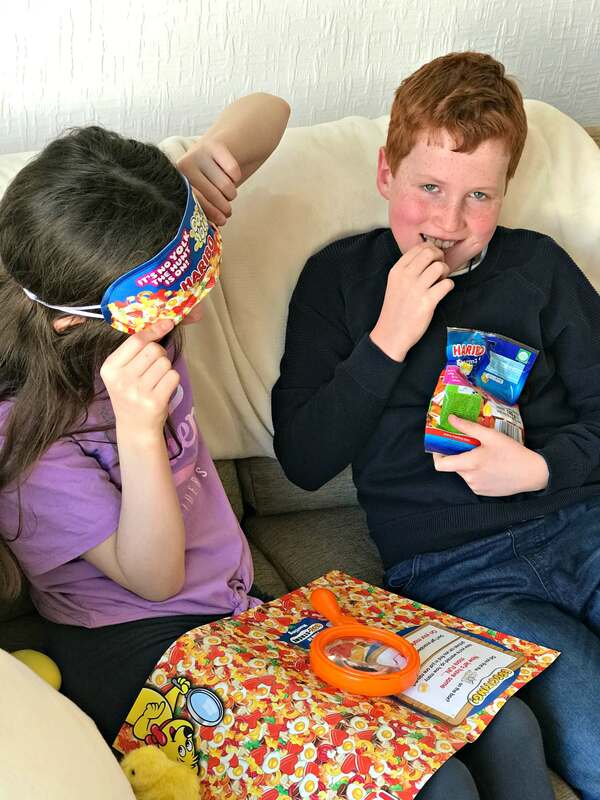 You’ll find the competition terms and conditions here and there are another 7 holidays to be won if you find a Double Yolker in HARIBO Starmix bought from the following stores: – Coop, B&M, Poundland, Home Bargains, Premier Stores, Londis and Tesco – that’s a total of 27 chances in all. 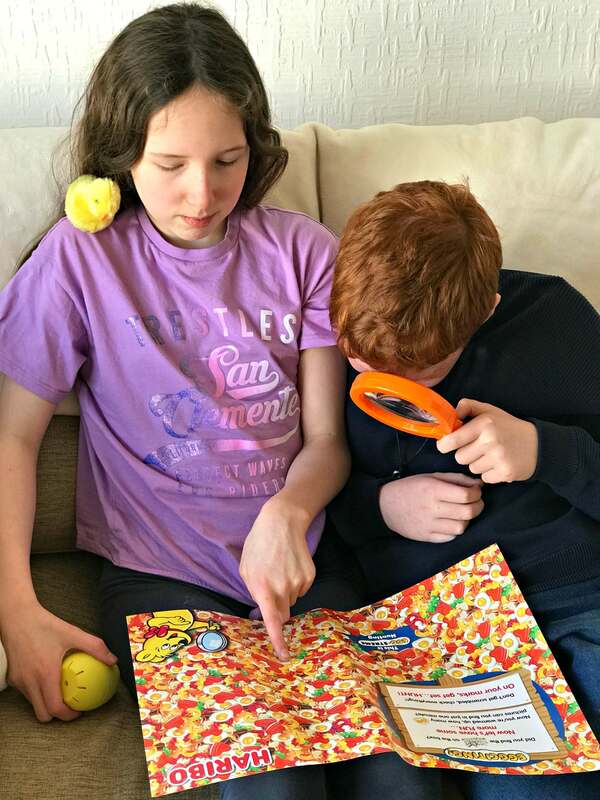 Caitlin and Ieuan are big HARIBO fans so the search started immediately with a warm-up practice session of Double Yolker spotting with all the kit supplied by HARIBO. 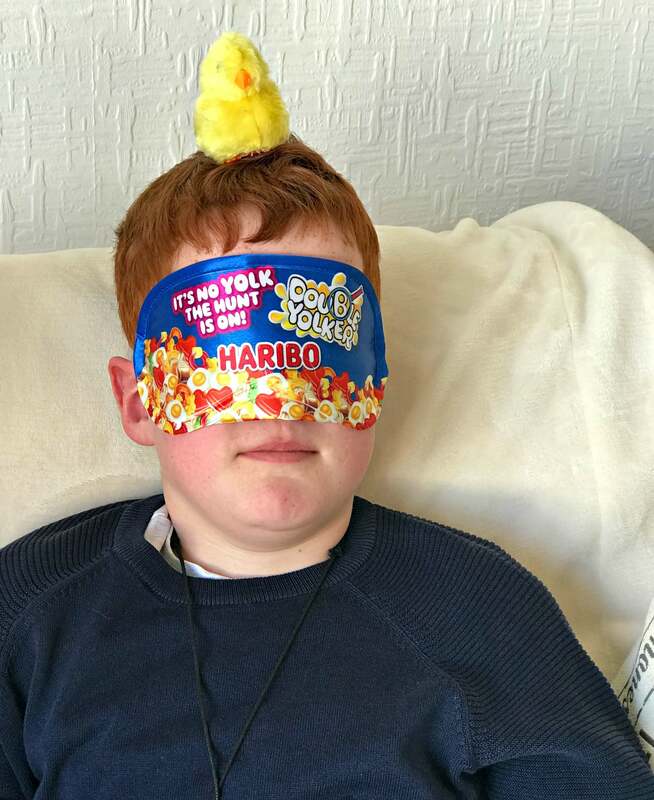 I’m afraid Ieuan wolfed his HARIBO so fast I’m not entirely sure he didn’t chomp through a Double Yolker but Caitlin assures me he didn’t. 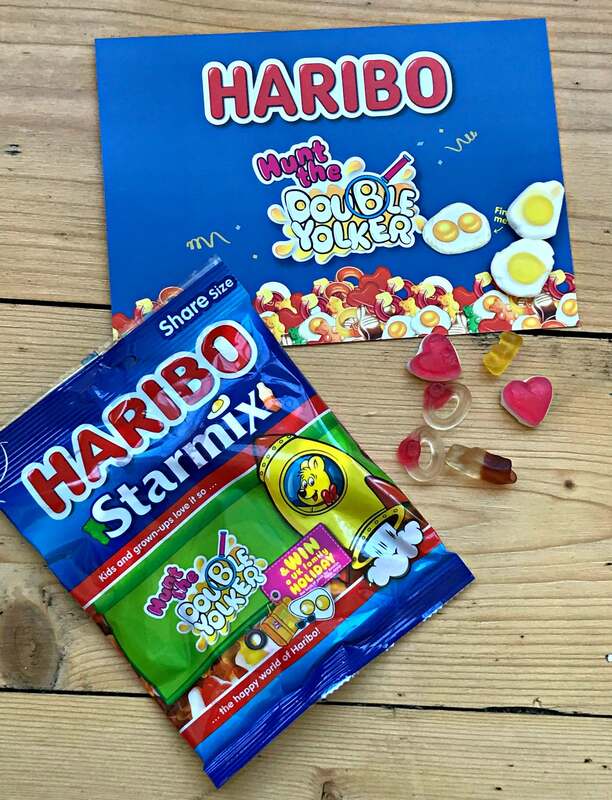 Just make sure when you buy your limited edition HARIBO Starmix pack you double check for a Double Yolker. Good luck and don’t forget you’ve got until 21st April to, um, crack the competition!